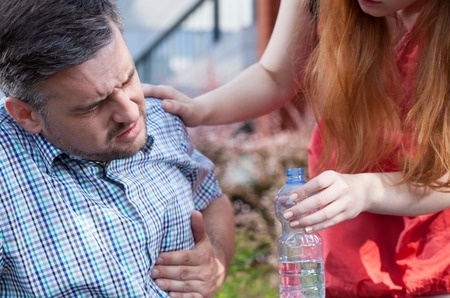 Nexium, a proton pump inhibitor (PPI) used to treat GERD and other gastrointestinal issues, has been linked with a number of serious complications, including heart attacks and kidney problems. Nexium lawsuits are now being investigated on behalf of individuals who were allegedly harmed by this medication. Bernstein Liebhard LLP is now offering free legal reviews to individuals who may have experienced complications allegedly linked to Nexium, including heart attacks, nephritis, and chronic kidney disease. To learn if you might be eligible to file a Nexium lawsuit, please contact Bernstein Liebhard LLP at (888) 994-5118 to learn more about your available legal options. In June 2015, research published in PLOS One indicated that patients who used Nexium and other PPIs were 16 to 21% more likely to suffer myocardial infarction, commonly known as a heart attack. The research found that the drugs doubled the risk of cardiovascular death. A similar increase was not found among patients who used H2 blockers, another class of heart burn medications that includes Zantac, Tagament and Pepcid. A recent study suggests that filing a Nexium lawsuit could be a possibility for those who developed stomach cancer following long-term proton pump inhibitor use. Writing in the September 2017 issue of Gut, a group of researchers from Hong Kong noted that a bacterium called H. pylori (best-known for its link to gastric ulcers) is a known risk factor for stomach cancer. But even when treatment has successfully eradicated the bacterium, stomach cancer may still occur. To investigate why this was the case, the research team studied 63,397 people who were successfully treated for H. pylori infection, including 3,271 who used Nexium or another proton pump inhibitor and 21,179 who took an H2-blocker (such as Zantac or Pepcid). During average follow-up of 7.5 years, 153 of those patients developed stomach cancer. Compared to those who took H2 blockers, patients who used proton pump inhibitors were twice as likely to develop gastric cancer. Those who used the drugs daily were more than four times more likely to develop stomach cancer compared to those who only used proton pump inhibitors once per week. Taking a drug like Nexium for two years or more increased the likelihood of gastric cancer by more than six-fold. The risk of stomach cancer rose more than eight times when proton pump inhibitors were used for three years or more. If you would like to discuss filing a Nexium lawsuit with one of our attorneys, please call (888) 994-5118 today.